All throughout Batman V Superman: Dawn of Justice – and even in the pre-release trailers – Darkseid emerged as the true big bad looming over Zack Snyder’s titanic ensemble film. Designed as a tease of what’s to come, all signs currently point to the megavillain taking center stage by the time Justice League rolls around, forcing DC’s band of costumed heroes to unite against a common, terrifying enemy. But a new report coming by way of Birth.Movies.Death. 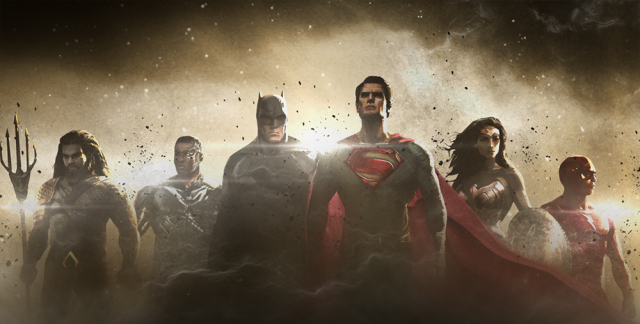 indicates that not all is as it seems, and a new nemesis will surface in time to put Batman, Supes et al. through their paces. Still with us? Take this with a pinch of salt, of course, but the outlet claims Zack Snyder’s Justice League will introduce Darkseid’s general, Steppenwolf. Pointing to a deleted scene released by Warner Bros. (see below), Birth.Movies.Death. claims that the identity of the “unnamed being” isn’t Yuga Khan as online theories had suggested, but is instead Steppenwolf. Shouldering a “contentious history with Darkseid,” Steppenwolf’s presence sparks a fierce battle with the leading players of the Justice League, one that forces our roster of heroes to “turn to a dead friend for help.” Let the speculation commence. Slated to arrive across two installments, Justice League – Part 1 will open on November 17, 2017 – where Ben Affleck will be serving as executive producer in light of the criticism levelled at Dawn of Justice – followed up by a second, conclusive chapter in 2019.